Anything worth doing takes time—education most of all. If you’ve attended school—sent a child to school, know a child who goes to school or work in one—you know that we can’t rush learning. We can’t rush progress. Instead, we can encourage it. We watch, we listen, we learn and we guide. What if we thought about education policy the way we think about education itself? What if we exercised patience and curiosity with new ideas? What if we gave them room to grow, noting their strengths and promise, adjusting the sails as needed and cheering them on? What if we agreed that change is a marathon, not a sprint? If we did, three years wouldn’t seem like much. That’s how long its been since New Mexico administered the PARCC in math, reading and writing for the first time—the test we use to measure student learning, and to see if our kids are on-track for college and the workforce. Last week, the New Mexico Public Education Department released the latest batch of scores, from 2018, and ushered in a perennial dialogue about standardized tests: arguments for and against the value of exams, what our latest scores reveal and whether PARCC has a lasting place in the future of public schools. If we seek the knowledge to transform public education, adults have to start with the essentials, too: where have we been, where are we now and how do we get where we’re going? The scores themselves are notable—and complicated: over time, for instance, math proficiency scores have grown by 4.3 percent…but just one in five students can actually solve math problems on grade-level. 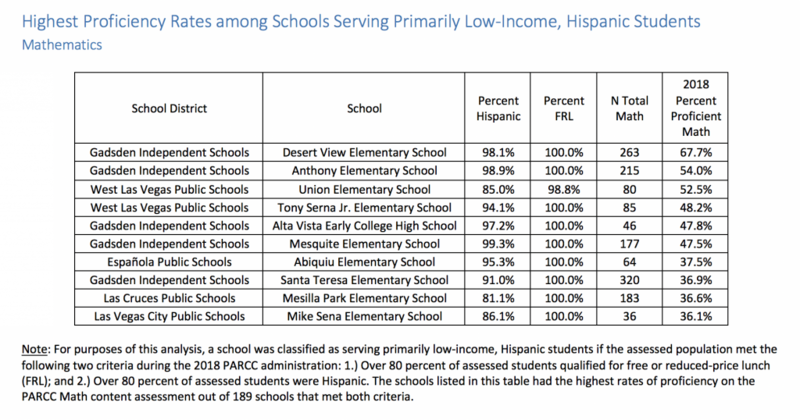 On the other hand, scores revealed an encouraging glimmer of equity—evidence that change and improvement are possible. 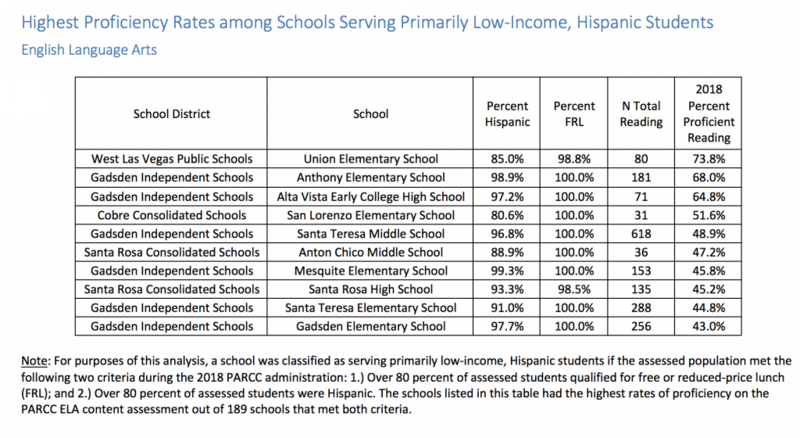 The tables below (pulled from an NMPED release that we’ve distilled here to key points) show that even in public schools that serve majority numbers of low-income and Hispanic students, our kids can reach the high bar we set for them. 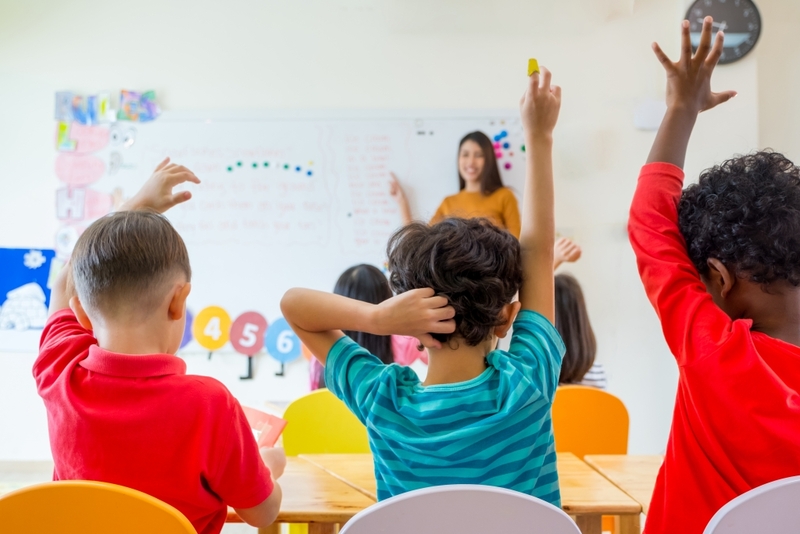 Every kind of school, serving every kind of student, saw growth compared with 2015, annihilating the mistaken belief that certain kids—but not all—can make gains. It’s simply not true in New Mexico, and that’s a point of pride. Native American students, for instance—who our state is leaving behind in large swaths—earned the greatest growth in reading of any group of their peers: up 8.2 points from 2015. This is when we lean in, not out. We’re not there yet; we’re not even close, if we’re being appropriately honest. But now’s not the time to give up, as some would suggest—including both candidates in the race for New Mexico’s highest elected seat, who have called for us to leave the PARCC consortium after just four years. 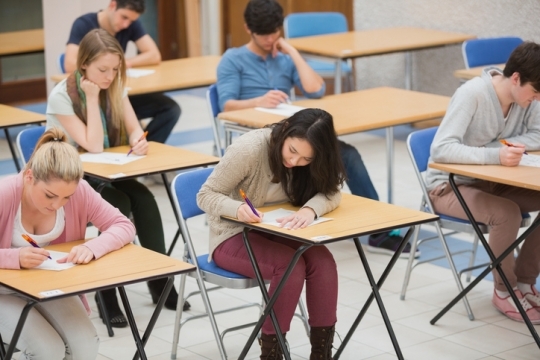 Why does it matter how long our kids have been taking the test? Because like in your child’s own education, the rhythm of a change takes time to establish—and because 2018 PARCC results were different from past years’ in a way that no one has noted yet: the results came early. In 2015, it took NMPED until October to release the results. Scores from 2018 landed smack-dab in the middle of summer—giving parents across the state a real chance to access, understand and use the results in a way that’s practical. They can research schools. They can make well-informed decisions about their kids’ education. They can ask questions based on the facts. That’s not an accident. In fact, it’s what happens when a system gets better and more efficient over time. In just a matter of years, we’ve gone from a bumpy transition—introducing the exam to districts, teachers and hundreds of thousands of kids—to a steadying cruise. When you stick with something—whether it’s a math problem, a complex paragraph rich with literary reference or a new approach—the results speak for themselves. In this year’s results, we also find patterns that only show up when tracked across long durations of time. In some cases, the pattern reveals against-the-odds improvement among the highest-need students students in our state. In others, it reveals staggeringly low overall performance. There are lessons to learn from both. The only way to learn them, though, is to stay on track. We know by all measures in life that lasting change comes on slowly, by degrees, like turning a ship. 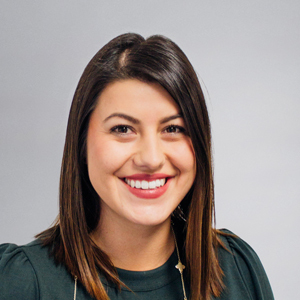 It takes a well-seasoned crew that is committed not just to the job at hand, but to the result: with patience and careful adjustment, we’ll find ourselves sailing in a new direction. Changing the course of public education will take the biggest, most united crew of all—one that grows over time, and understands the need for tools that measure even the slightest shifts in our journey. When our kids are learning, we teach them the essentials first. If we seek the knowledge to transform public education, adults have to start with the essentials, too: where have we been, where are we now and how do we get where we’re going? The numbers are telling that story in greater detail each year. Let’s keep sailing and see where the story leads.